After reading the posts of other students enrolled in this course, I realized that I do not know a lot of the folklore that is in New Jersey. 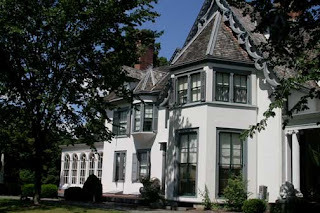 As I searched the internet for the states myths and legends, I came across Ringwood Manor. The Northeastern New Jersey Manor was built in 1740. It is a Victorian style mansion with 51 rooms. Outside the house is a cemetery as well as gardens. The house was bought, sold, and remodeled by many different owners including Robert Erskine, George Washington’s geographer. When Erskine died of pneumonia, he was buried in the cemetery at the mansion. It is said that this manor is haunted by many ghosts. The ghost of a house maid is said to haunt a small bedroom on the second floor where she was beaten to death. Jackson White, who worked as a servant for a family, can be heard walking around the manor. At dusk, General Erskine can be seen sitting on his grave gazing across the pond or walking around with a lantern. 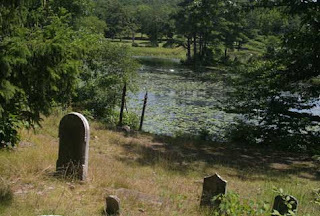 At night near the pond, it is said that you can hear the sad voices of French Soldiers who are buried in an unmarked grave. There is a small pond that was created to honor an occupant named Sally. Sally can be found as a full body apparition in the music room of the house sitting by a harpsichord. The superintendent of the Manor has heard 2 different sets of footsteps. He also has found that when he locks doors at night, when he comes in for the morning the doors have been opened without anyone doing it. Psychics and medians have also said they sense presences in the manor.